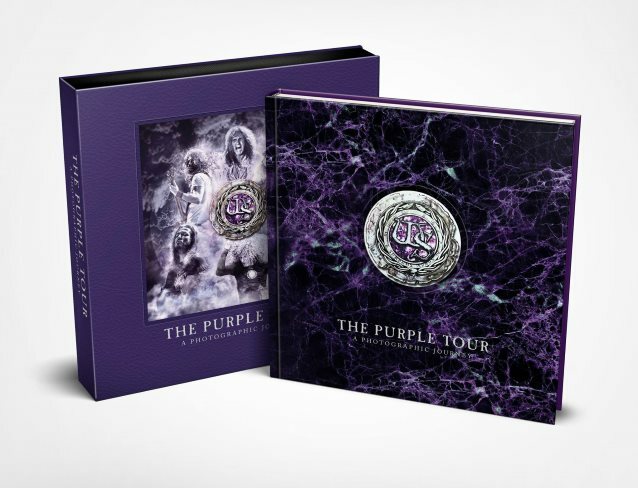 Rufus Stone Limited Editions has announced the publication of the first-ever official WHITESNAKE book, “The Purple Tour – A Photographic Journey”. In 2015 WHITESNAKE took its newest release, “The Purple Album”, around the world on “The Purple Tour”. Featuring epic reworkings of David Coverdale‘s DEEP PURPLE songs and a raft of WHITESNAKE classics, the tour was one of the band’s most successful and talked about in years. Now this new, official limited-edition release from Rufus Publications documents that groundbreaking tour. At three hundred pages long and packed with exclusive behind-the-scenes photos, notes from the band and a song-by-song breakdown of the tour’s epic setlist, this incredible tour is captured and documented with hundreds of amazing shots, taken mostly on the sold-out U.K. leg of the tour. Printed and bound in the U.K., this LP-sized, casebound photographic book will be released in two amazing limited editions and is the first official WHITESNAKE book. The deluxe signed edition is individually numbered and signed by all the band members and features a 3D lenticular image on the front of the slipcase. The standard edition is the same size, softcover bound and comes in a slipcase. Both editions will be unique, casebound coffee table books, perfect for fans and collectors. Order before November 9 to get your name in the book and for free worldwide delivery before Christmas 2017. For more information, visit www.whitesnakepurpletour.com.